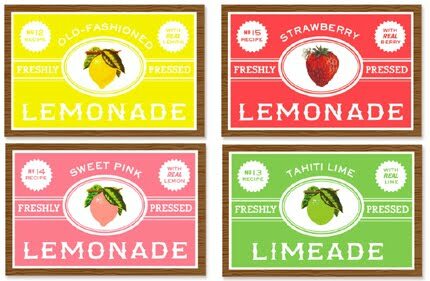 I thought today I'd share with your some of my favorite blogs and websites that offer free print ables! Each one of these links has so many to choose from, so be sure to view them all! Some are for personal use only, so be sure to double check the limitations on each one. The first one up is one of my favorites! 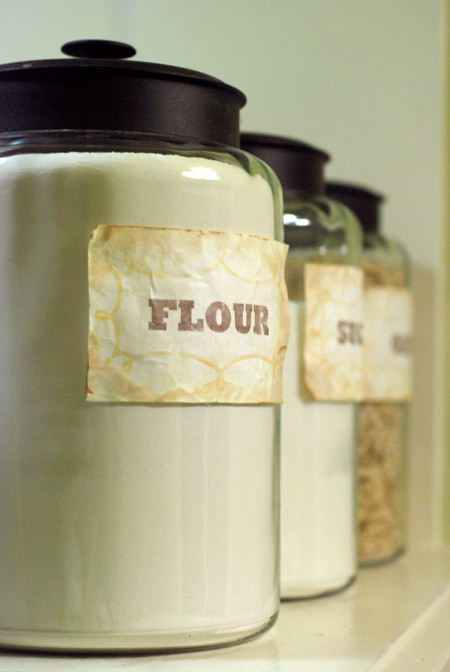 I love to organize and to me, pantry organization is crucial when you do a lot of baking like I do. I love these labels and thought you would too! I love how she crumpled them up and aged them a bit before adding them to her jars. 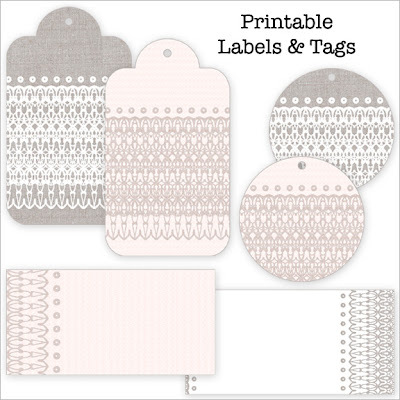 These are super sweet little tags that would be great for Valentine's day. 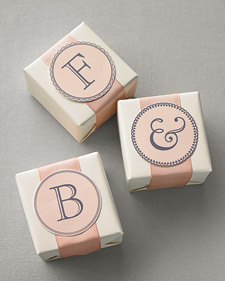 Martha Stewart has these great monogram labels in her wedding section. or used as place markers at a table too. Eat, drink, chic will never let you down. 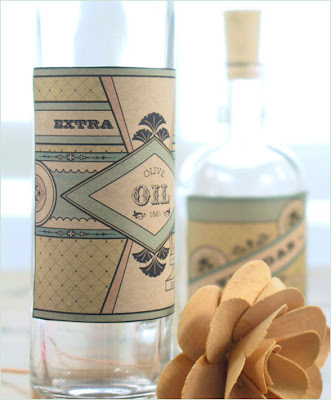 There are a ton of great ideas, fabulous photos, and adorable print ables. I have used these labels time and time again. and organize to your hearts content! 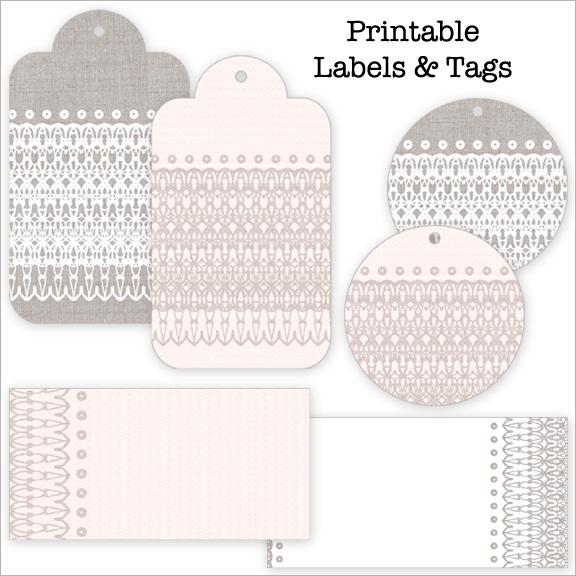 You can find a ton of print ables here, these are just a couple I thought were extra cute. Pages and pages of great images to print out. You can easily navigate through her site. Pick out "botanicals" for example, and you will find dozens of great images. 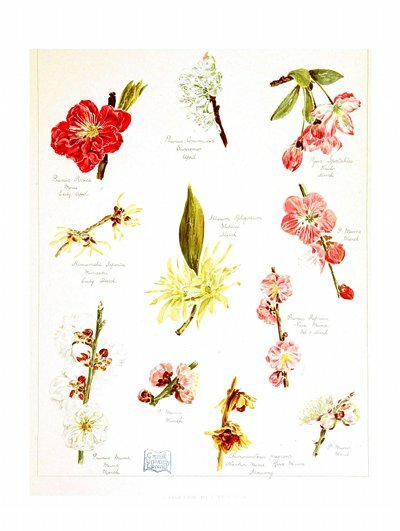 Print these out and use them framed on your wall for a inexpensive alternative to antique botanicals. 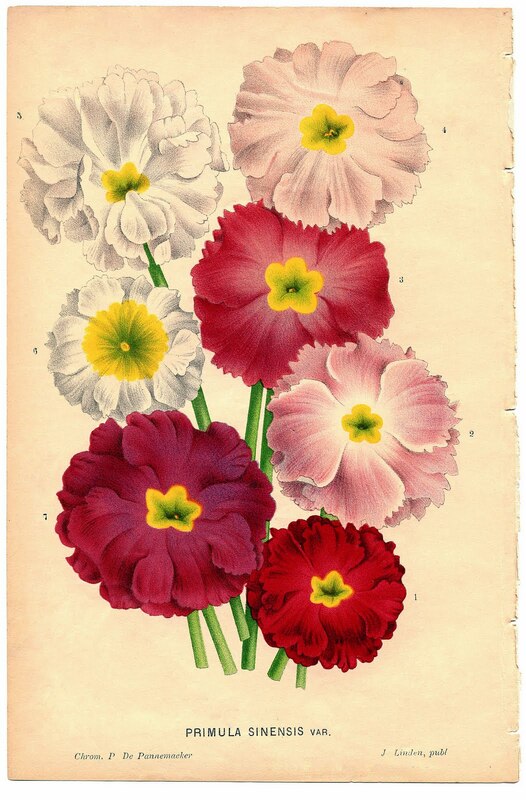 Same thing here with vintage print ables. Tons and tons of images to choose from. If you have any sites you love for print ables, please leave the link in the comment section for everyone to see! Awesome post! thank you for turning us on to new graphics and downloadables. I love to learn about new sites. Thrilled to learn of these. You are the best! Thanks for sharing these! Awesome! I love the artwork by Amy Moss, the colors are some of my very favorites. Graphics Fairy is the only one I was familiar with. Love those first tags!! Cute. I'll have to put them to use sometime! 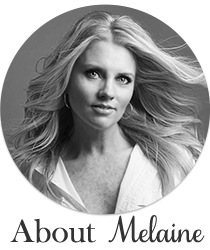 Love them all Melaine! Thanks for sharing them with us. I just printed some out yesterday! I found an 8.5 X 11 frame at Joanns yesterday. This makes it super easy to go from the printer to the wall ! Hi, perhaps our entry might be off topic but anyhow, I’ve gone surfing about your weblog and it seems truly awesome. It is obvious you know your topic and you seem passionate about it. I am building a fresh weblog and I’m striving to make it look great, as well as offer top quality subject matter. I have discovered much at this website and also I look forward to a great deal more articles and will be coming back soon. Thanks. 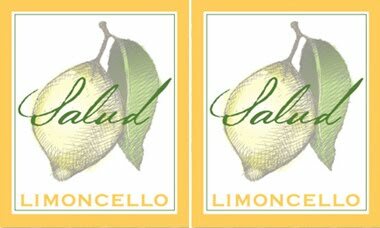 these are awesome printables~i love the botanicals and the limoncello!! fun fun fun! com. I will even sign up through your affiliate link if you would like. switch links or possibly guest author a write-up for you. I highly recommend you contact me if you're even slightly interested. Thank you so much. audio songs existing at this website is truly marvelous.